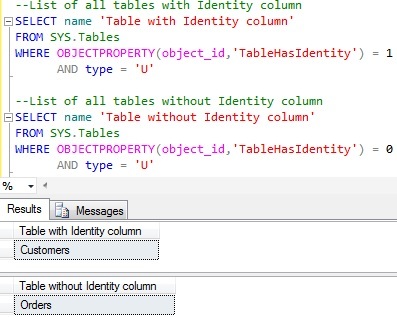 How to get all the Tables with or without an Identity column in Sql Server? Let us understand the above scripts with an example. To understand this, let us create a demo database SqlHintsDemoDB with Customers table having an identity column and an Orders table without identity column.